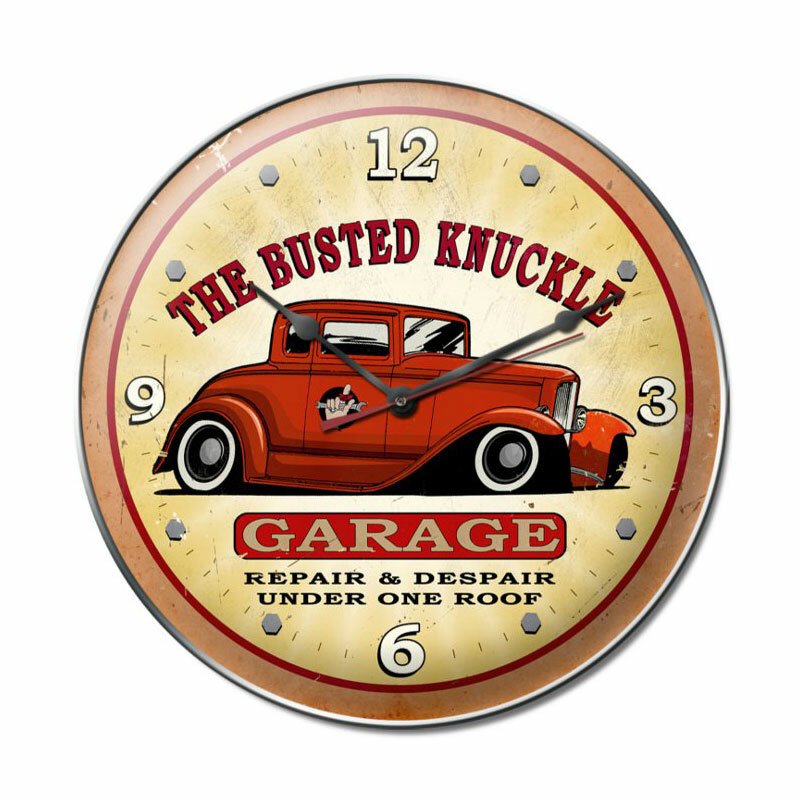 From the Busted Knuckle Garage licensed collection, this Busted Knuckle Garage clock measures 14 inches by 14 inches and weighs in at 3 lb(s). This clock is hand made in the USA using heavy gauge american steel and a process known as sublimation, where the image is baked into a powder coating for a durable and long lasting finish. This clock includes an American made quartz clock movement (requires one AA battery) for years of accurate time keeping and is covered with a clear acrylic lens.